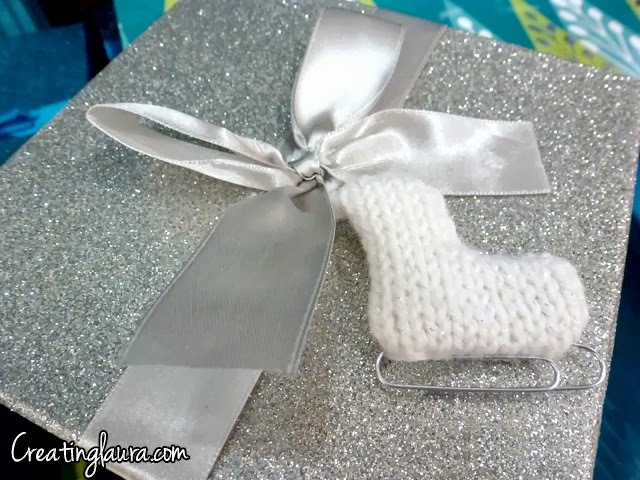 I recently found the most adorable crochet ice skate ornament at Suzie's Stuff and I loved it so much that I decided to make a knitting pattern for it. First I tried making the skate out of a single layer of stockinette stitch, but it wanted to curl up when I hung it on the christmas tree. 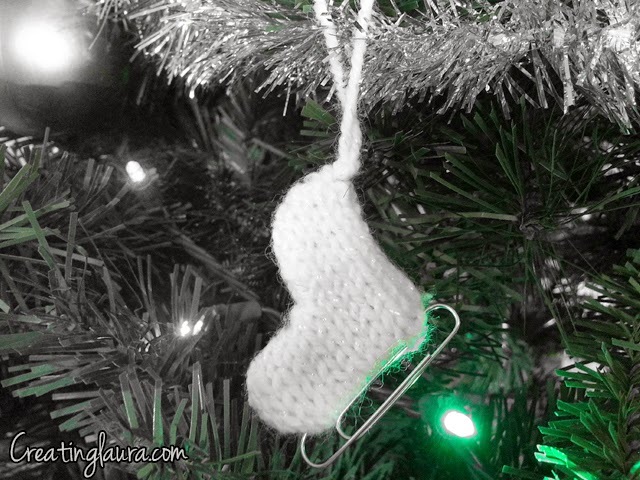 I made the ornament lay flat by knitting a mirror image of the first layer and seaming the two layers together. Suddenly the skate became 3 dimensional and had much more bulk to it so it fit in better with the other ornaments on the tree. Bind off, leaving a big loop when you bind off the last stitch. That loop is what you'll use to hang the skate on the Christmas tree. Place the two sides of the skate flat on a table (right side up) with the bottom edges of the skates touching each other. Line the stitches up with each other and seam those two edges together using mattress stitch. Slide the jumbo paper clip onto your work right where you just seamed it. You should now be able to fold the two sides of the skate up like a sandwich, and the paper clip will be at the bottom of the skate where the skate's blade would be. Sew the rest of the edges of the skate together using mattress stitch. This little skate looks good on a Christmas tree, but it's small enough that it also works well for fancy gift wrapping, see? I hope you have a great time knitting this little guy! As you know, ice skates are near and dear to my heart. I love this! It is so life like.